This mesmerising debut novel is part love story, part mystery, telling the captivating story of two lovers torn apart by tragedy and the secrets they kept of one devastating night. Thirteen years later, I am thirty, childless and single, attempting to renovate my life rescuing a rundown worker's cottage. All is as it should be in my safe little world - until Jack buys the vacant lot behind my house. and the feelings that we buried all those years ago - the guilt, the love and the pain - resurface. We can't keep running away from the past - and to move forward we have to know what really happened to Kate. Kate, Jack and Frankie were the closest of friends until the fateful day when Kate, then 17, vanished. More than a decade later, Jack and Frankie are thrust together again and forced to confront the events—and emotions—that altered their lives. Set in Queensland, this fantastic debut shifts back and forth between present and past, teasing out the suspense at a masterful clip. 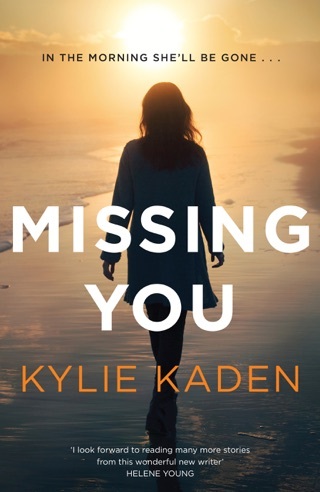 With a great ear for dialogue and a crackling sense of humour, author Kylie Kaden makes you care deeply for her troubled protagonists. What a well written novel filled with familiarity in a Queensland setting. I couldn't put it down. Set in Australia, this story is intriguing. The characters are well developed and easy to relate too. I loved the push and pull of emotions I felt as the time narrative switched. The change in all of us from when we are young and invincible to how we are now. Emotionally challenging and had me thinking about my child hood friendships. Thanks Kylie, looking forward to the next story. 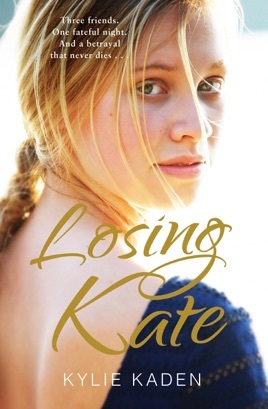 Losing Kate was full of tension, twists and emotional tangles as Francesca And Jackson sort out the truth of what happened to their lost friend, Kate, and how they cannot disentangle their love for each other. 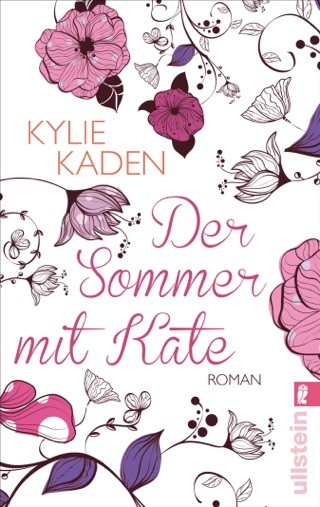 Looking forward to more great writing from Kylie Kaden.